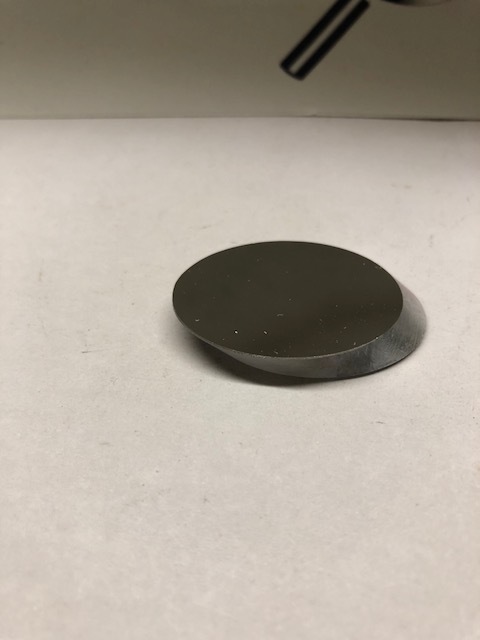 This was designed to be used in 114mm reflector telescopes to reflect the image towards the focuser. The mirror is elliptical in shape 39mm long by 4.9mm thick and 24.6mm wide. Aluminized part is 25mm long by 24.6mm wide. New.